6 seater extendable table in Victorian White with a very detailed French Stencil (on the table extension) painted in Wild Woods. 2 carver chairs and 4 chairs, all with cushioned seats newly covered in floral material. 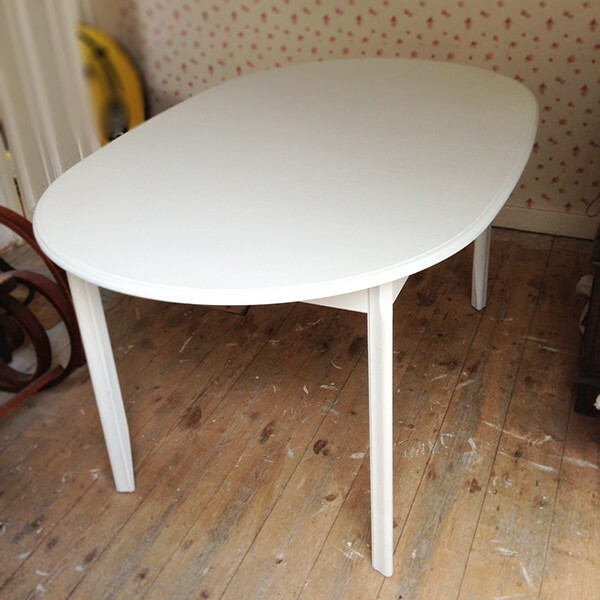 This table is now SOLD.